In this section you can find a reading list encompassing a wide range of studies, articles and reports relating to the spread of pro-Kremlin disinformation. Whether you want a general introduction, to learn about the Kremlin’s attempts to influence elections or investigate how one single false message gets spread via a wide network of websites – this is the place to start. General texts describing the whole disinformation campaign in a more abstract way. From one of the first comprehensive texts covering this problem, Peter Pomerantsev’s and Michael Weiss’s “The Menace of Unreality” to Ben Nimmo’s already wide-known concept of “4 D’s” to Yevhen Fedchenko’s “How Ukraine Was the Testing Lab for Russia’s Information War Against the US”. Including the great study by Keir Giles “Handbook of Russian Information Warfare”. 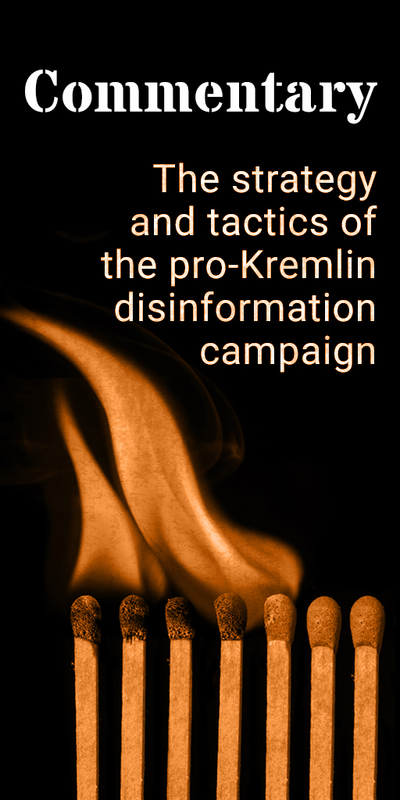 More specific texts describing how one and the same disinformation message gets spread via a wide network of “media” sites; about various amplifiers and multipliers of disinformation; about the success and effects of the disinformation campaign. 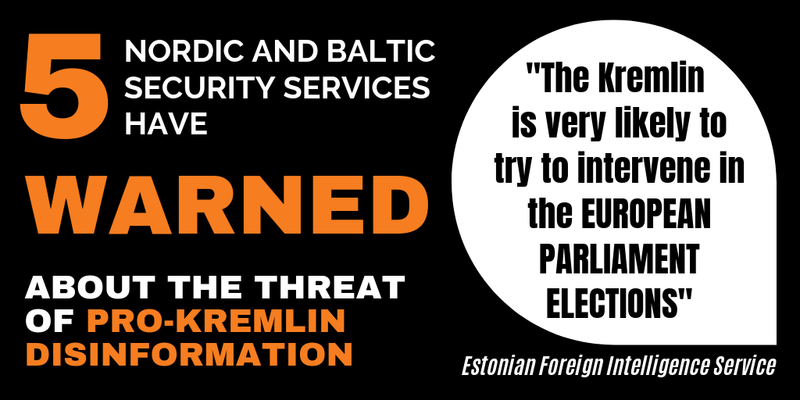 Texts about disinformation campaign targeting specific elections and referenda. Reports focusing on a particular country or region (excluding the period of elections covered in the group above). The infamous Lisa case. Disinformation about ISIS fighters joining Ukrainian forces. The alleged non-existence of Russian forces in Ukraine. The three-year long disinformation campaign about the MH17 tragedy. Texts focusing on one of the most visible elements of the disinformation campaign – trolls and bots who are amplifying the deceitful messaging. Including links to texts about cyber attacks. The enormous disinformation ecosystem has one basis – and that’s Russian media space. Be it international media like RT and Sputnik, or the state media in Russia, whose reporting gets later multiplied in dozens of languages. You will also find here confessions from journalists who worked inside the Russian-media system, or revealing statements by Russian authorities clearly describing how Russian media are part of Russia’s armed forces. Various governments, experts and academics have been warning about the scope and the threat of the disinformation campaign in the last years. Various countries have already their way of dealing with this problem. Find out more about the reactions and the warnings. Various researchers and think tanks have offered various countermeasures. See the concept of “Information Defence” by Ben Nimmo. Read about the set of Tactical, Strategic and Long-term recommendations by Edward Lucas and Peter Pomerantsev. Or the “50 Measures” put together by European Values Think-Tank. With many thanks to the expertise of the DFRLab and the Atlantic Council, we give you a list of online resources to enable you to verify content, geolocate photos and tracking planes, among other things. Explore and engage in the world of digital forensics! Everything that didn’t fit into the categories above. Although we try to stay up-to-date with the texts on this issue, we know we haven’t managed to collect all important texts that have already been published. In case you know about a report or an article that should be included here, please, send us an email. We also want to keep the database regularly updated – so do not hesitate to let us know about a new piece covering some of the elements of the pro-Kremlin disinformation campaign.